When he was a toddler, I have only prepared pumpkin soup a couple of times because its full of nutrition. At that time, that was the only soup that I know how to prepare and the only soup he tasted. Over the years, when we dine out we will usually order soup to go with our meals. There are a handful of soup, mushroom soup, clam chowder, minestrone soup, vegetable soup, chicken soup but DinoBoy has his eyes on mushroom soup. To be honest, the mushroom soups served in the restaurants usually has more cream or starch (depending on the style of cooking) then mushrooms. Since I got my Philips Jamie Oliver food processor earlier this year, I decided to try to make this soup in my own kitchen. Incidentally I love mushrooms too, they have an unique flavour that I just can't resist plus there are so many ways to cook them, you can sautée, stir fry, boil in soup, simmer, bake them without adding much seasoning. 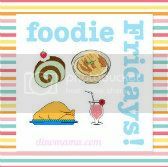 Mushrooms are rich in fibres, carbohydrates, antioxidants and lots of vitamins. So what's not to love about them? Over here, you can find packets of mixed mushrooms in the supermarket that cost around $3 or $4, saves us the trouble and money buying different packets of mushrooms. I used 2 packets to make serving for 4 people. The recipe calls for 200g potatoes but I used slightly lesser because the first time when I did it, the potato taste was too much. 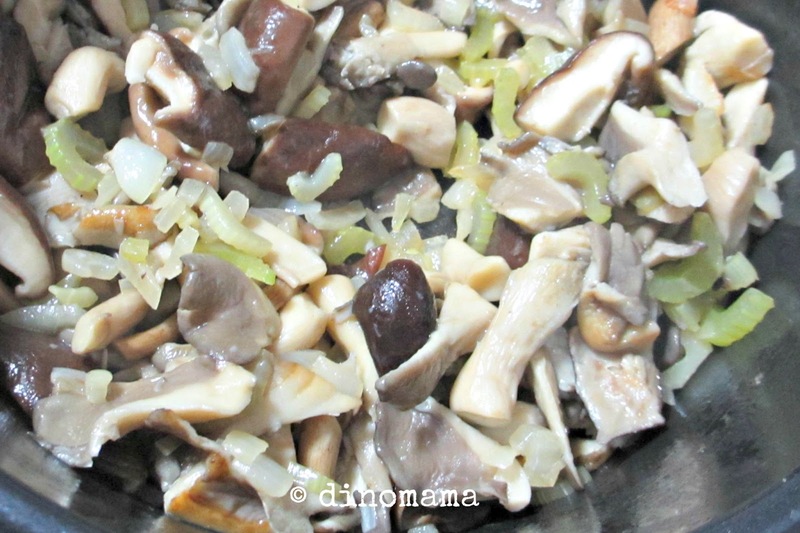 When I was stir frying, the aroma of the butter mixed with the mushrooms made me want to steal some mushrooms to eat, the smell is just so tantalizing! 1. Melt the butter in a large saucepan, add in the onion, celery and garlic and fry for 3-4mins or until soften. 2. 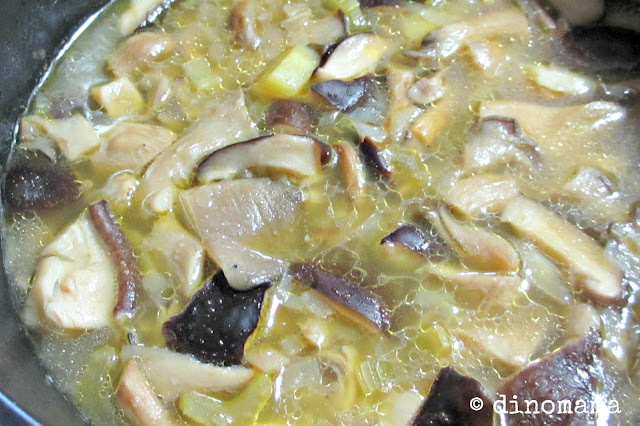 Stir in the mushroom and continue to fry for another 5-6mins. 3. Add in the potatoes and stock and bring it to boil. 4. 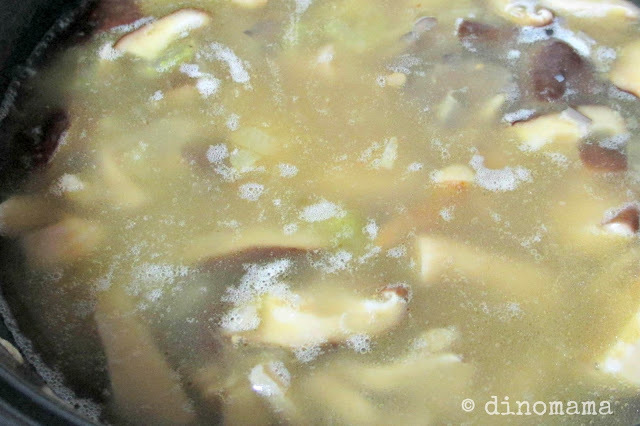 Reduce the heat and let it simmer gently for 30mins. 6. Pour the soup into a blender or food processor and purée till smooth. 7. Sprinkle in the parsley and season with taste with salt and pepper. Serve immediately. u know what ... 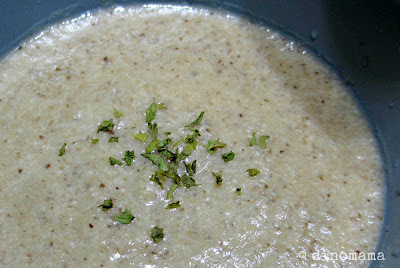 I just 'steal' a mushroom soup recipe from the bookstore this afternoon ! thanks for sharing this ... so glad yours doesn't need milk or cream. Looks really yummy.. may make mushroom soup for the kids next week.